STRIPED BASS reports of larger Striped Bass being caught with fresh Atlantic menhaden off of Rye and Mamaroneck, NY, especially at night are encouraging. These larger Bass are some of the first migratory arrivals mixed in with winter holdovers coming out of the Hudson River to feed in CT waters. The top-water bite is just picking up as well. Try using Sebile swimming plugs, they have produced bass up to 48”. Schoolie stripers are venturing out of the rivers from Bedford’s Point to New Haven, and they’ve been gobbling up SP Minnows, FinS lures, specifically in white, white & green paddle tales, 6” length (or any light colored soft plastic with a jig head). Schoolie Stripers have been a little scarcer in the Eastern part of the Long Island Sound. There are also some other keepers in the mix as well (46 inch striped bass from New Haven and the upper Housatonic River). As water temperatures warm in the sound, squid will visit us from Block Island Sound. We also have reports from Port Jefferson that the Sand Eels are heading towards deeper water. Those Sand Eels and Squid will bring out some “doormat”-sized Fluke. Most brackish rivers are still holding plenty of Striped Bass in the 16” - 24” range with an occasional keeper mixed in. Other striper spots include the Pawcatuck River, Mystic River, Thames River, Niantic River, lower Connecticut River (DEEP Marine Headquarters fishing pier and Dock and Dine), Black Hall River, New Haven Harbor (Nathan Hale Fishing Pier, Sandy Point), the Sound School Fishing Pier, Housatonic River and Norwalk Harbor including the islands. Sand and blood worms have been working the best, especially in turbid waters around the incoming tide. Casting swimming lures, small jigs (Chartreuse color) with twister tails, soft baits, and Kastmasters and other metal lures will also work. 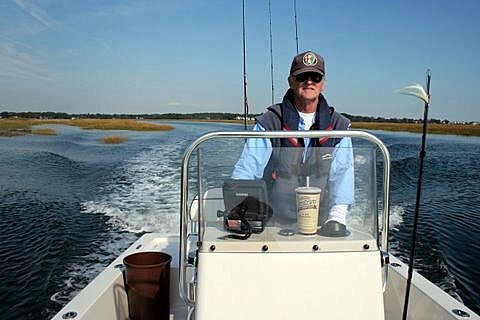 Fishing should get better as we approach the magical 55 F mark! WINTER FLOUNDER are still being caught in sizes up to 4-pounds. Try shallow water spots near shore in 8’ - 20’. Fishing is improving in the Poquonock River, at Bluff Point State Park, Niantic River, The Brothers, Jordan Cove, lower Saugatuck River, Calf Pasture Beach area, Norwalk Islands (Cockonoe) and the channels in Norwalk Harbor. 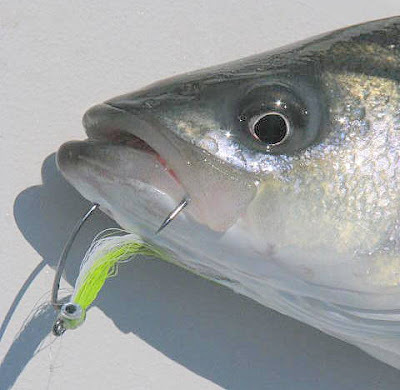 WHITE PERCH fishing is good in most of the tidal rivers and coves along Connecticut’s shoreline. Perch spots include the Pawcatuck River, Mystic River, Thames River, upper Niantic River, lower Connecticut River (DEEP Marine Headquarters fishing pier), Black Hall River, Lieutenant River, North/South Cove and Hamburg Cove. Shrimp and small worms are the key to success. SUMMER FLOUNDER [Fluke] season opened May 4 and runs to September 30. Time to get the boat, and fishing gear ready for some phenomenal early season fluke fishing. CT Bait & Tackleshop List. Summer Flounder have been caught in small numbers from Greenwich to Stonington. A source tells us if you wait long enough you can catch a nice sized summer flounder off the Norwalk Islands. WEAKFISH have also arrived in Long Island Sound! Look for these awesome eating fish in Guilford/New Haven Harbor over to the Milford/Stratford area along with the Peconics (NY) and South of Plum Island on sandy bottom.